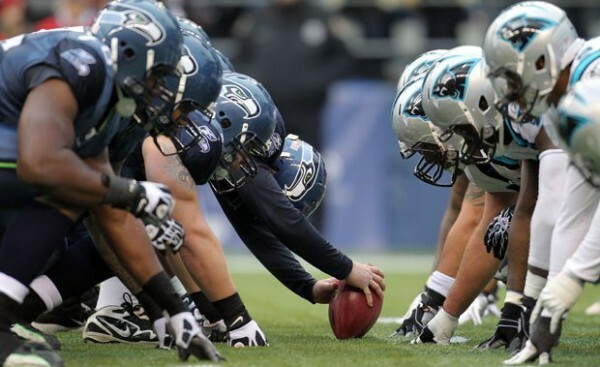 Both the Carolina Panthers and the Seattle Seahawks didn’t have the kind of start to the season they were hoping for, but a very strong finish, each in their own special way, puts them together for a second time this season, playing for the right to be in the NFC championship game. The Seahawks, the defending Super Bowl champions, couldn’t find consistency on both ends of the line earlier in the season, off to a 3-3 start, with their defense ranked only 19th in the NFL, allowing 23.5 points and 324.5 yards per game. But the problems of shaking off their success from last season eventually evaporated. The offensive line still struggled protecting Wilson which meant a lot of running, but with the defense performing at an historic level, it didn’t really matter. In the final six games of the season, with Seattle winning nine of their last 10 to finish at 12-4 and on top of the conference, the Seahawks allowed only 39 points, allowing only three touchdowns. They didn’t allow a single touchdown or field goal in the fourth quarter during that stretch, allowing just 202.2 yards per game, finishing on top of the defensive rankings in the NFL for the second straight season, usually a very good recipe to win the Super Bowl. But repeat? That hasn’t been done since the Patriots in the 2004 season. Are the Panthers good enough to ruin that bid? They’ve given the Seahawks problems in the last two games, both in Charlotte, but the Seahawks still walked away as winners from them. This season it ended in a 13-9 victory for Seattle, as Cam Newton was held to 12-of-22 for 171 yards, an interception and a lost fumble. But Cam Newton of October isn’t the quarterback calling the shots now. Newton wasn’t perfect in the win over the Cardinals in the wild card round, his first in the playoffs since joining the NFL in 2011, but he made big enough plays with his feet and his arm, not just against the Cardinals, but overall in the final month of the season, as the Panthers won four straight to climb out of their long losing streak and somehow make the playoffs, winning the win-or-go-home finale against the Falcons 34-3. Their defense has also risen up to the occasion in the last few games, giving up only 10.8 points in their winning streak. Just like the Seahawks have the Jordan Hill injury to contend with, the Panthers need to do without Star Lotulelei. They’ve been terrible against runs through the middle this season, allowing 5 yards per carry on those runs this season, worst in the NFL. The Seahawks are 4th in the NFL in rushes between the tackles, averaging 4.7 per carry. But both teams play in a similar way when they’re good: Run the ball, run the ball some more and play defense. They’re both either first or second in the NFL since week 12 in rushing yards per game, yards allowed, yards allowed per play and points allowed per drive in the NFL. No one but the Dallas Cowboys has been able to keep up and out-muscle the Seahawks in Seattle this season, but the Panthers have the style and personnel to do it. They only need to match the level of aggression and often dirtiness the Seahawks manage to get away with when playing at home.